I don’t bake many cakes, layer or otherwise, because I find them too intimidating and a huge sugar commitment if there is not a lot of other people to share them with, and a big reason to celebrate. When my kids were little I always baked and decorated their birthday cakes. However, I hardly ever made them from scratch, or for reasons other than a birthday celebration. 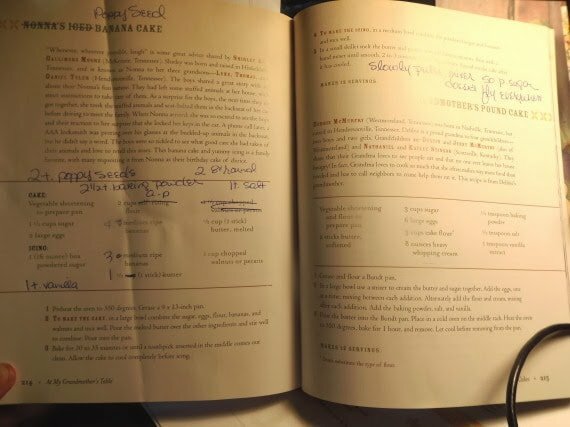 Back in the day, Betty Crocker and Duncan Heinz were two of my closest friends! Over the past few years, I’ve been seeing the most elaborately decorated cakes all over the internet. Some of them literally make my jaw drop open in awe and amazement!! There are truly some wonderfully talented bakers and sugar artists in the world, and they inspire me each and every time I see their amazing creations. I made this cake for my husband and my very best friend’s anniversary, and the results were very, very tasty. I remembered from years ago that they both used to enjoy the Sara Lee banana cake that could be bought in the freezer case at the grocery store. I wanted to try and mimic how I remember that cake tasted, and I think I hit the nail pretty squarely on the head. *Note ~ I like to freeze mine (peels on) when they are past their prime. This way I always have overripe bananas on hand for baking. 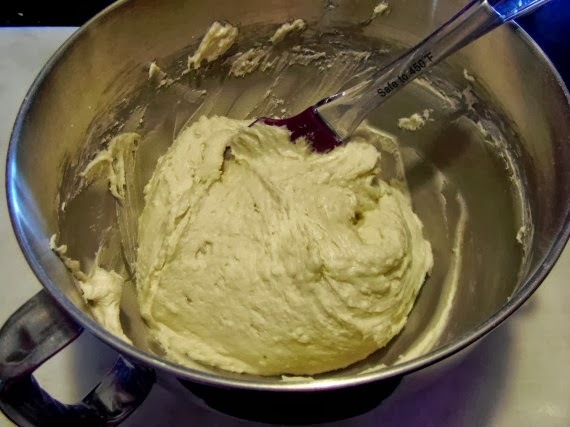 -In a large bowl combine all of the ingredients except the butter and blend well. -Pour in the melted butter and stir to combine. 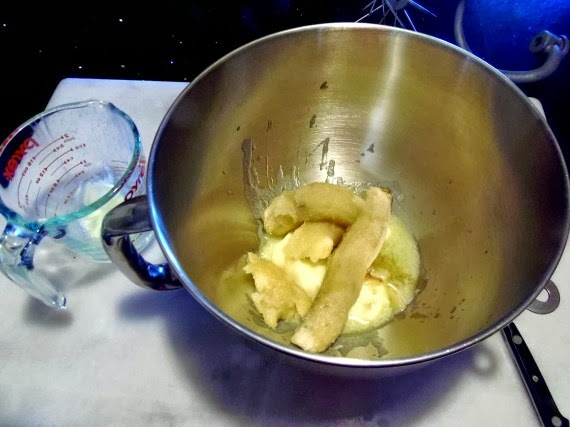 -Pour the batter evenly into the two prepared cake pans. -Bake for approximately 30 minutes or until a toothpick inserted in the middle of each cake comes out clean. 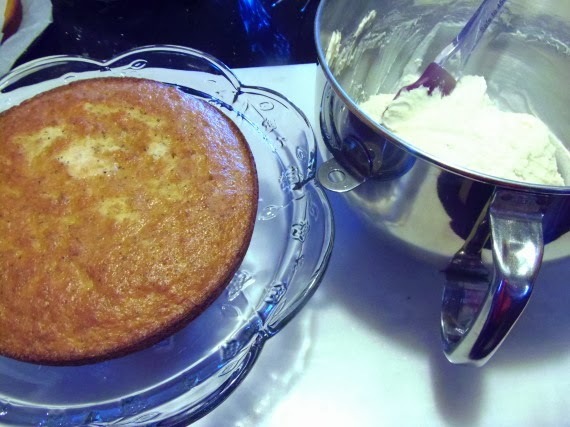 -Cool the cakes on a wire rack in the pans for approximately 30 minutes. -Turn the cakes out of the pans and allow to cool completely. -Once cooled, place the cakes in the fridge to chill. *Note ~ lightly spray some parchment paper with baking spray and place the paper between the two cakes. This will keep the cakes from sticking together and from sticking to the parchment paper itself. 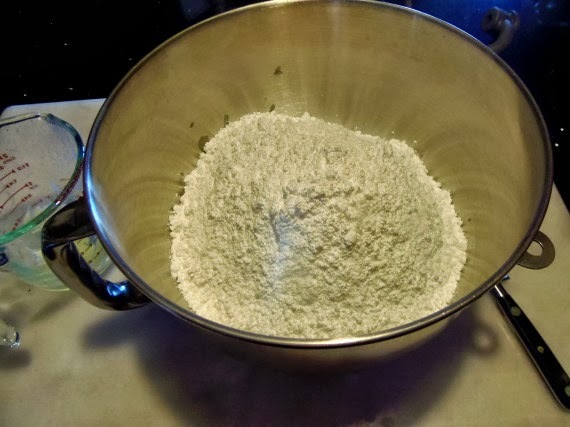 -Place all the ingredients in a large bowl and mix with a hand mixer on very low speed (or pulse in a stand mixer) until the ingredients come together. 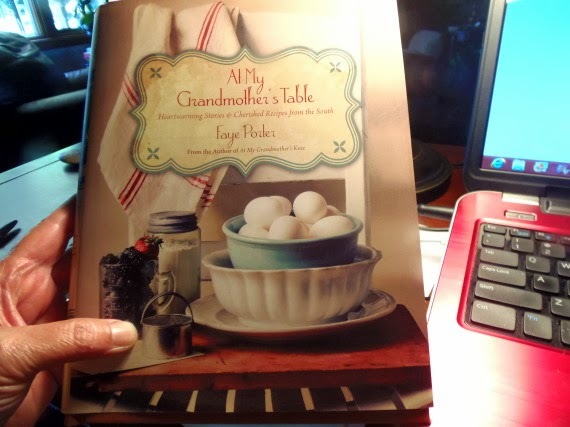 *Note ~ This pulsing or slow mixing will prevent the powdered sugar from flying everywhere in your kitchen. -Once the ingredients come together, turn the speed to high and blend until the frosting becomes a smooth and spreadable consistency. 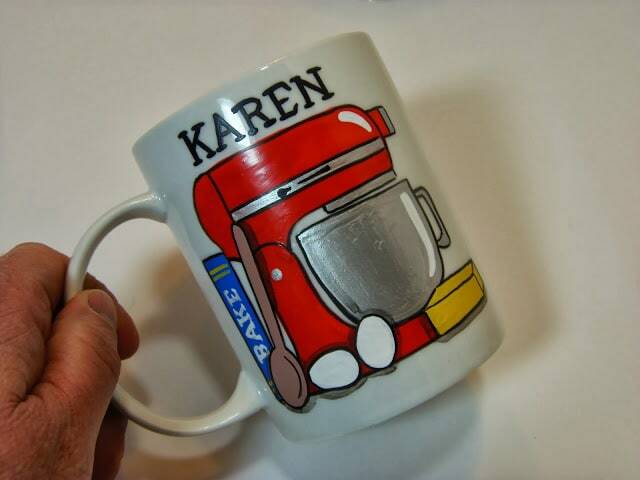 -Once cooled, remove the cakes from the fridge and place one of the discs on a platter or cake stand of your choice. 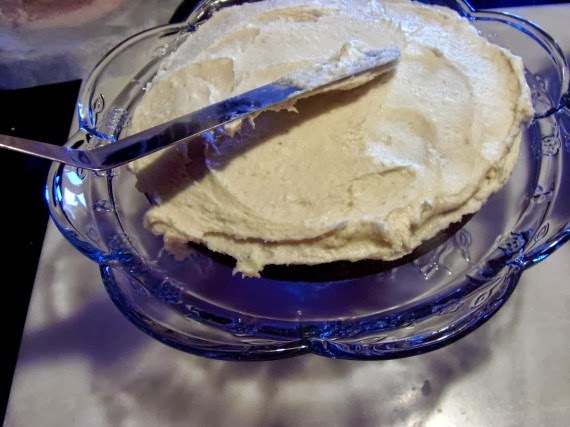 -Using an offset spatula (or large butter knife) place approximately 1 cup of the frosting on the top of the cake layer and spread the frosting evenly around the cake top. -Place the second cake round directly on top of the iced round and frost that layer with approximately 2/3 cup of the frosting. – When frosting the sides of the cake, an offset spatula works best when placing a thin layer of icing around the sides of the cake. 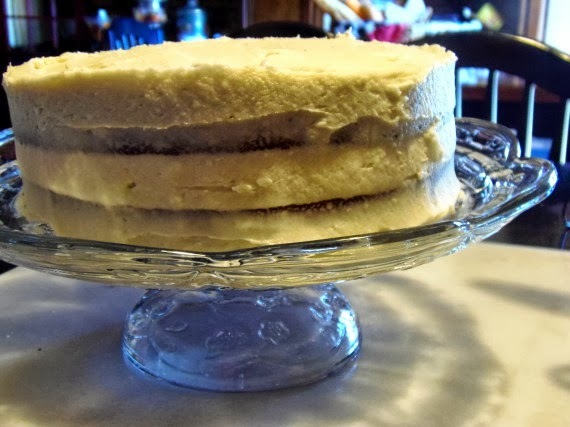 *Note ~ This first layer of thin frosting is the “crumb coat” and it will prevent crumbs from coming off the cake and mixing in with your beautiful frosting. Make sure when icing your cake with the crumb coat that you work the frosting in only one direction. This will additionally help the cake stay intact without crumbs forming in the frosting. 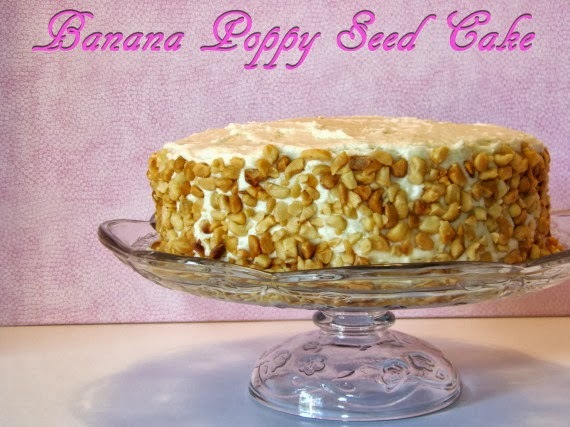 -Place the crumb coated cake in the fridge for approximately 30 minutes to set. -You can now slather frosting liberally on the top and sides of your crumb coated cake. *Note ~ Any leftover frosting can be frozen and used at a later date for cupcakes or cinnamon rolls. YUM! 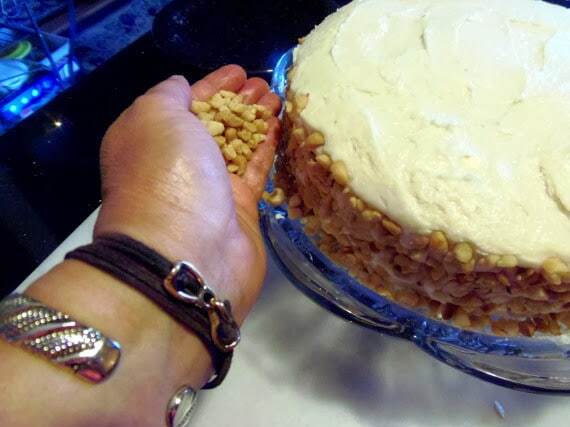 -Once the cake is completely iced place some of the chopped macadamia nuts in your cupped fingertips and gently press the nuts onto the iced sides. 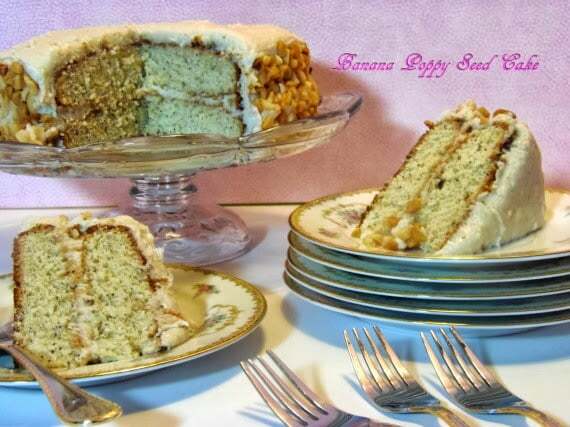 -Continue placing the nuts around the entire cake.